Clothing, namely pants, shorts, capri pants, weather-resistant pants, jeans, shirts, t-shirts, blouses, sweaters, tank tops, golf shirts, polo shirts, sport shirts, undershirts, cardigans, pyjamas, hats, baseball caps, jackets, wind-resistant jackets, matching short and t-shirt sets, matching pants and shirt sets, skirts, dresses, scarves, vests, camisoles, jumpers and jump suits. 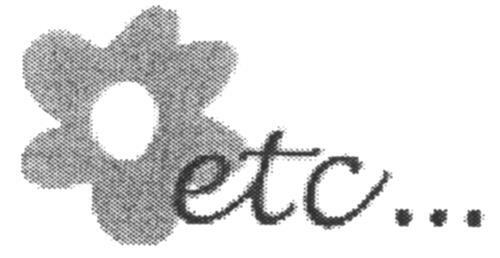 On Monday, July 28, 2003, a canadian trademark registration was filed for the above pictured logo by F.C.T.D. HOLDINGS INC. 1806 Ducharme, Outremont, QUEBEC, CANADA H2V1H4. The Canadian IP office has given the trademark application number of 1185853. The current status of this trademark filing is Registration published. The correspondent listed for is GUY & MUZZO INC. of 6455, avenue Christophe-Colomb, bureau 206, Montréal, QUÉBEC, CANADA H2S2G5 The trademark is filed in the description of Clothing, namely pants, shorts, capri pants, weather-resistant pants, jeans, shirts, t-shirts, blouses, sweaters, tank tops, golf shirts, polo shirts, sport shirts, undershirts, cardigans, pyjamas, hats, baseball caps, jackets, wind-resistant jackets, matching short and t-shirt sets, matching pants and shirt sets, skirts, dresses, scarves, vests, camisoles, jumpers and jump suits. .
(1) - Clothing, namely pants, shorts, capri pants, weather-resistant pants, jeans, shirts, t-shirts, blouses, sweaters, tank tops, golf shirts, polo shirts, sport shirts, undershirts, cardigans, pyjamas, hats, baseball caps, jackets, wind-resistant jackets, matching short and t-shirt sets, matching pants and shirt sets, skirts, dresses, scarves, vests, camisoles, jumpers and jump suits.